Where can you find whales in a desert? 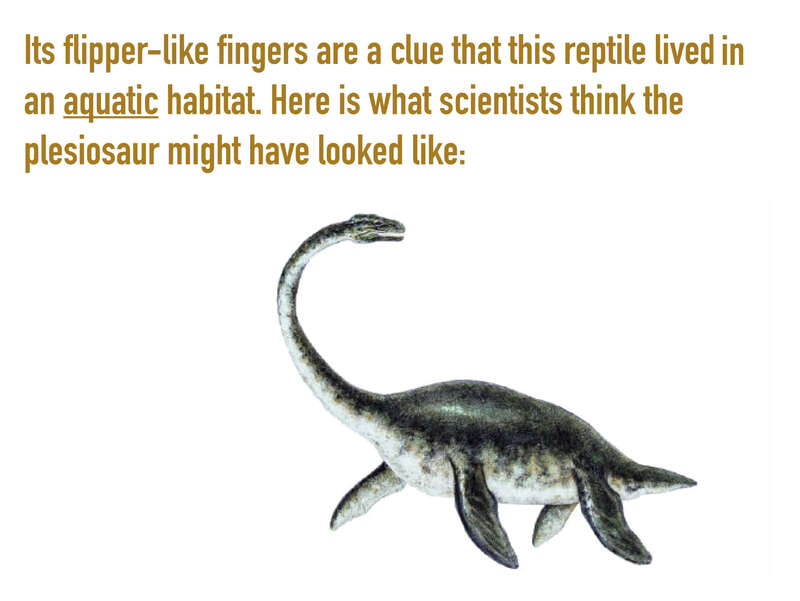 In this visual activity, students are shown a landscape and a fossil found in that landscape. Students will examine the fossil and figure out the habitat that used to be in that place. Discuss: Why do you think there were fossils of ocean animals in the middle of Illinois? Reading: A Whale of a Find tells of the discovery of many whale skeletons in a South American desert. Video: Watch children examine a "fishapod" fossil and reason from the evidence that they see. You'll find even more info on the "fishapod" here. 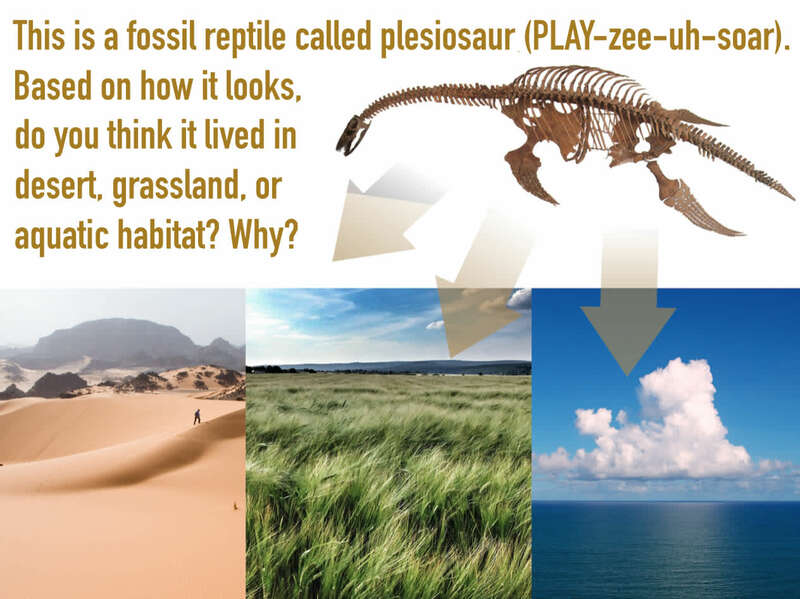 Resource: Students can explore how ancient plants and animals interact with the environment and with one another in an interactive website from the University of California’s Museum of Paleontology. This week we began a unit of study called “Animals Through Time.” In our first Mystery we explored the idea that the rock under our feet sometimes contains fossils. Those fossils reveal how habitats have changed through time. For example, fossil shark teeth and fossil starfish found in the center of North America are evidence that what is grassland today must have been an ocean in the ancient past. You can help support your child’s learning by striking up a conversation about an exotic habitat you might have visited on vacation. If feasible, consider visiting the nearest science museum and/or quarry to see any local fossils that have been found in our region.